Well, first of all, more and more men and women are not coming home unscathed. Fact is, some 30% of war veterans will develop posttraumatic stress disorder (PTSD). Secondly, we can’t forget that PTSD isn’t a military exclusive. Trauma is trauma, and the battlefield can be anywhere on the emotional, mental, and physical map. On Wednesday we began a series on PTSD, discussing statistics, what it is, and what it looks like. Here’a link to the piece. Today we’re going to dig into its cause. Let’s kick things off by discussing a psychological theory known as the diathesis–stress model. Sounds so psychobabblish, doesn’t it? But it’s easy to understand, makes a lot of sense, and applies to all of the mood and anxiety disorders. Simply, it suggests that the onset of a disorder results from a blending of one’s genetic and biological vulnerabilities, and the occurrence of a stressful event(s). In my mind, that very nicely explains why some individuals fall prey to PTSD, and others – faced with the same or a similar traumatic event – don’t. But isn’t that the way it is with most any mood or anxiety disorder? The inheritance of emotional and mental health risks. Life experiences, including the amount and severity of trauma one has experienced since early childhood. The inherited aspects of one’s personality — temperament. The way in which one’s brain produces and manages the chemicals and hormones involved in the stress response. The nature of the stressful (traumatic) event(s). Experiencing intense or long-lasting trauma. 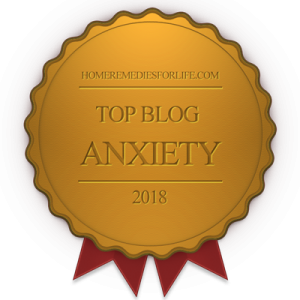 Having other emotional/mental health problems, such as anxiety or depression. Lacking a good support system – family and friends. Having first-degree relatives with emotional/mental health problems (including PTSD). Having been abused or neglected as a child. Now, the traumatic events that generate PTSD are unfortunately large in number and variety. So how ’bout the most common? Okay, so a horribly traumatic event occurred. But without the dynamics of encoding, the lasting effects would be minimal. In other words, there has to be some sort of mind translation that takes the event from something that merely happened, to disorder-generating trauma. For that translation to occur, the event obviously has to have deep meaning for the individual. That’s the emotional component, and it’s grounded in previous attachments and experiences. Now, one’s brain may have the capacity to encode, but something else entirely is involved in expression (the symptoms). Developing the ability to express the emotional component may explain why the symptoms of PTSD are often delayed (after the traumatic event occurred). It’s a matter of the brain being changed by the inescapable emotional stress of the encoded event. And that can take some time. Recent research has brought to the fore a concept that’s very new to psychiatry. It’s called moral injury. Just as the name implies, it’s caused by the moral dilemmas faced in military combat. Need an example? How ’bout survivor’s guilt? Can you imagine the internal conflict that could be generated by knowing you lived through an attack, but the guy or gal next to you in the bunker didn’t? Or what about the individual who witnessed – maybe even participated in – the unintentional killing of women and children? Alarmingly, PTSD generated by moral injury can lead to intense and tragic reactions – family violence and suicide, included. So there you have it, a thumbnail on the causes of PTSD. But it’s frustrating, isn’t it? Just like any emotional/mental health disorder, we don’t have a lot of rock-solids to hang our hats on. Time can’t come soon enough, huh. Be sure to keep checking-in with chipur, as we’ll finish the series by discussing all things treatment. Don’t miss it! 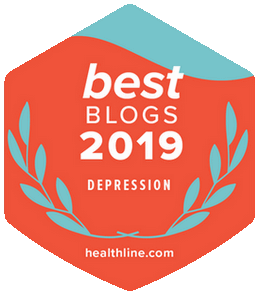 If you’d like to read more chipur articles on the psychology of depression, anxiety, and bipolar disorder, just tap here.